Sunset during July 4th weekend in Beach Haven, NJ. I woke up at 4:30 in the morning to capture the sunrise while in LBI for Fourth of July weekend. There's a small jetty that captured my attention the last time I was in Beach Haven, so that's where I immediately went to. I took this after the sun had already set in Beach Haven, NJ during Memorial Day Weekend. The warm tones and stillness of the water add to the feeling of calm. 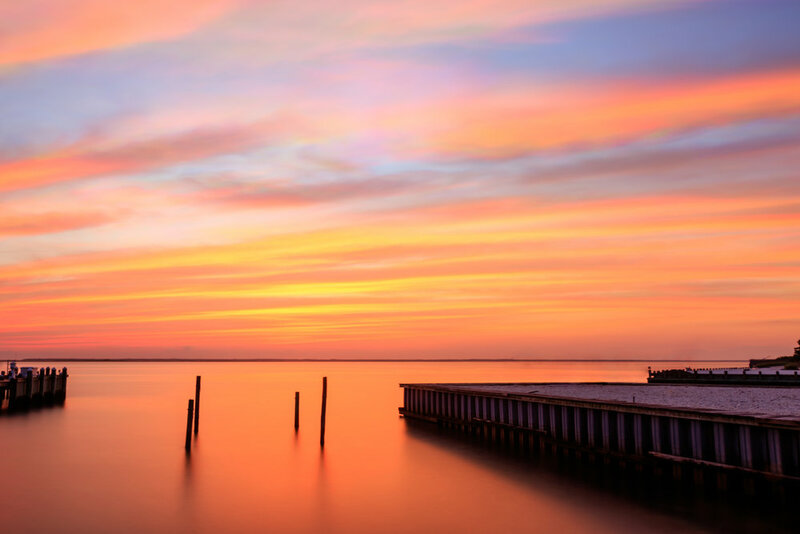 Long exposure of the bay in Beach Haven, NJ during sunset over Memorial Day weekend.